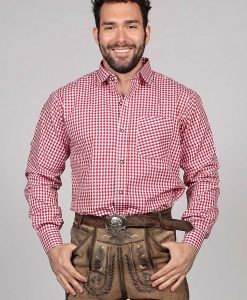 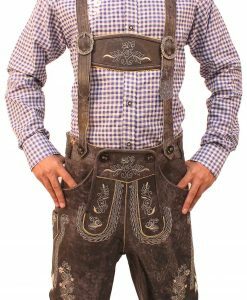 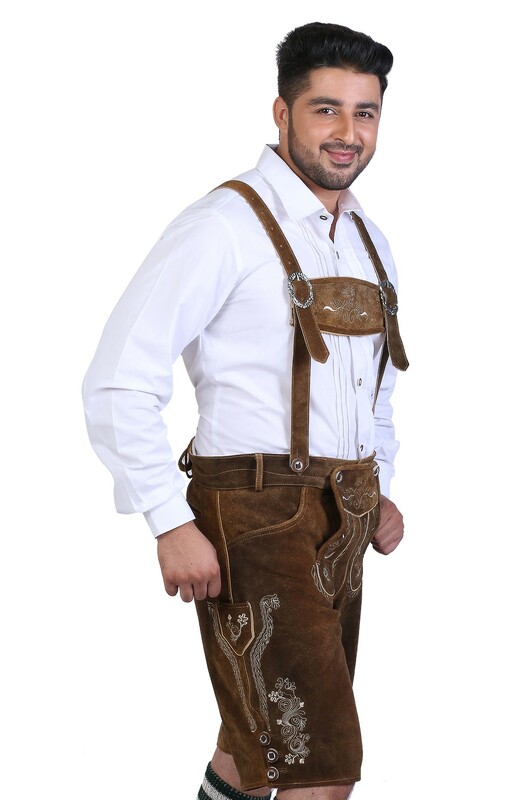 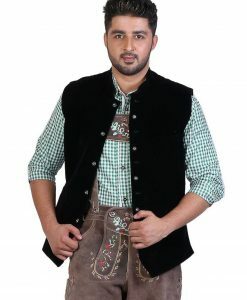 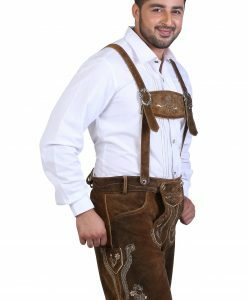 These decorative so Bavarian authentic lederhosen in Dark Rustic Brown are made from 100% suede leather. 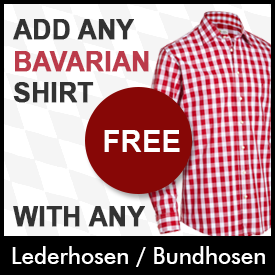 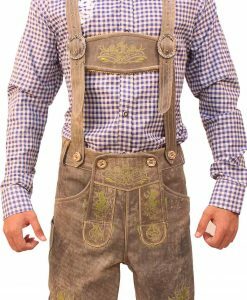 They compliment the choice for very traditional German beer festival celebrations. 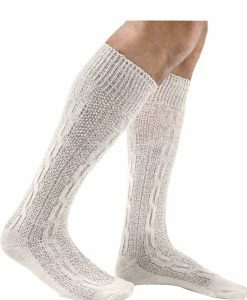 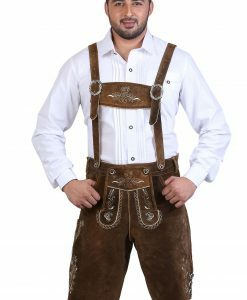 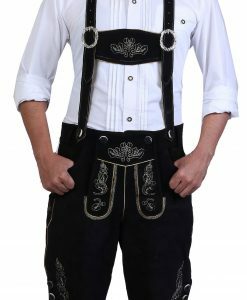 These mens lederhosen feature an intricate gold and white embroidery design on H-shaped lederhosen suspenders, on thighs, and at the front. 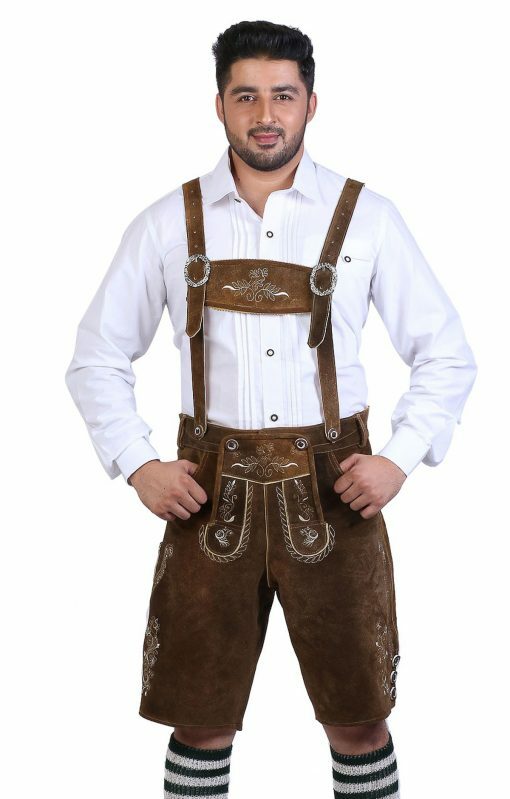 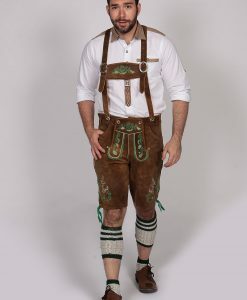 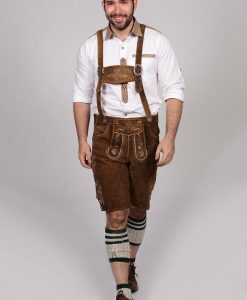 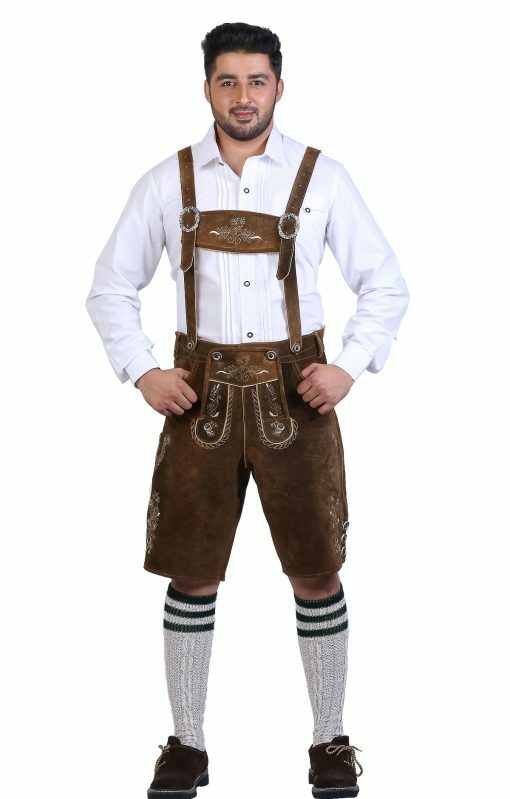 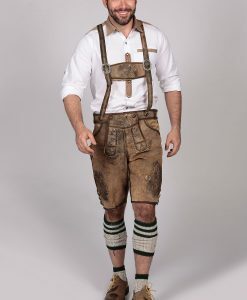 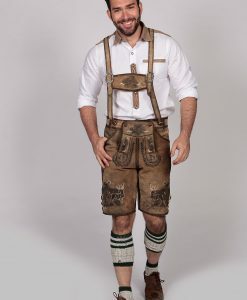 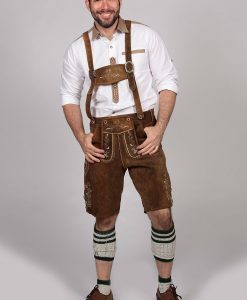 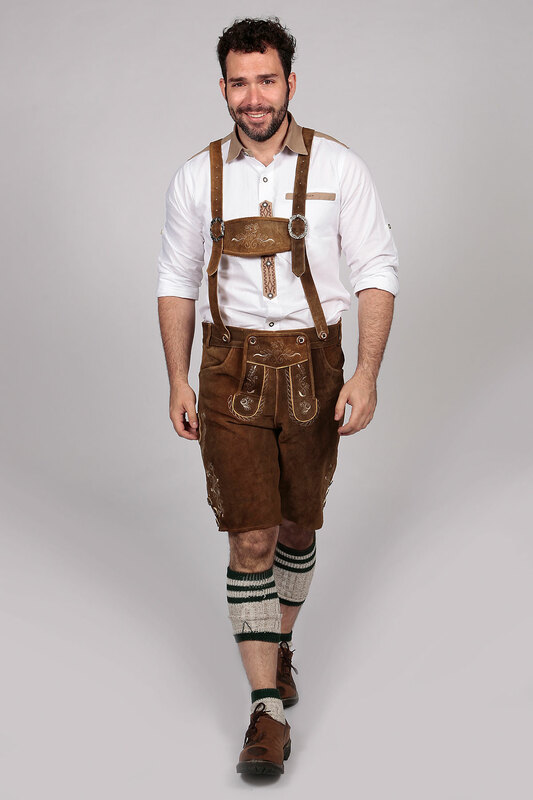 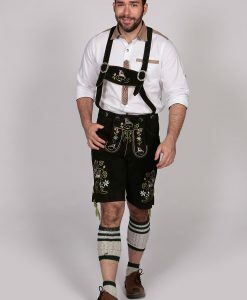 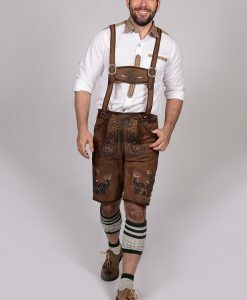 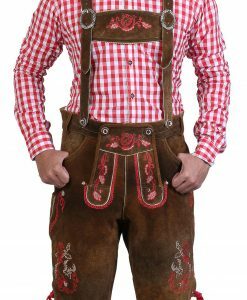 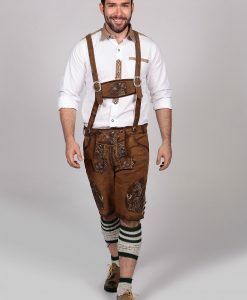 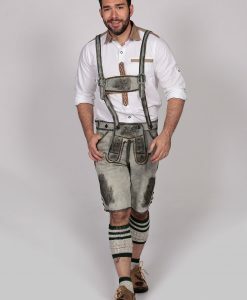 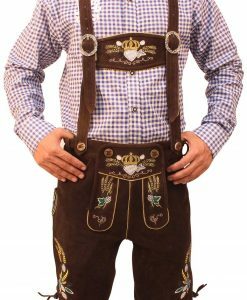 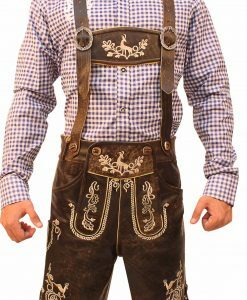 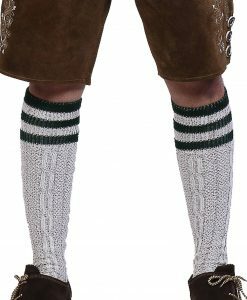 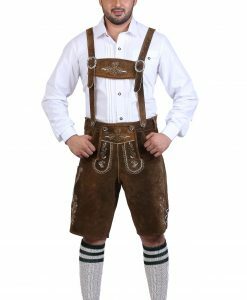 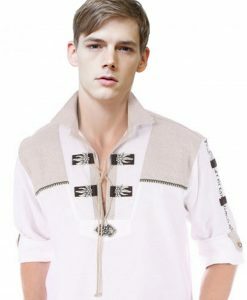 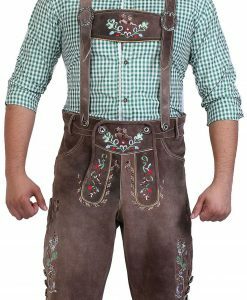 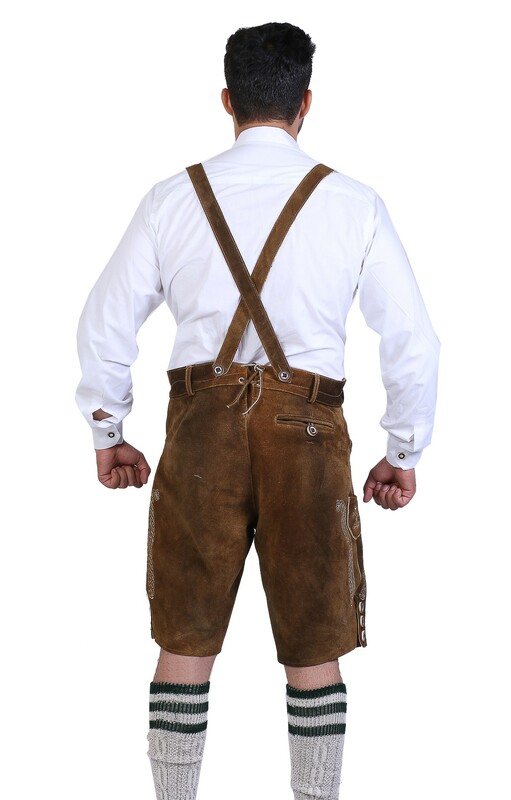 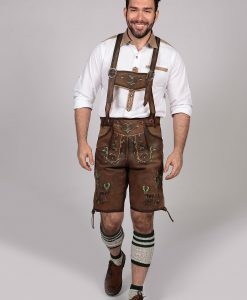 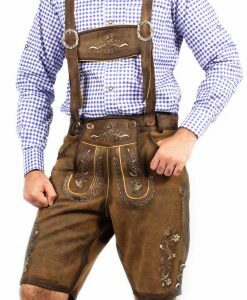 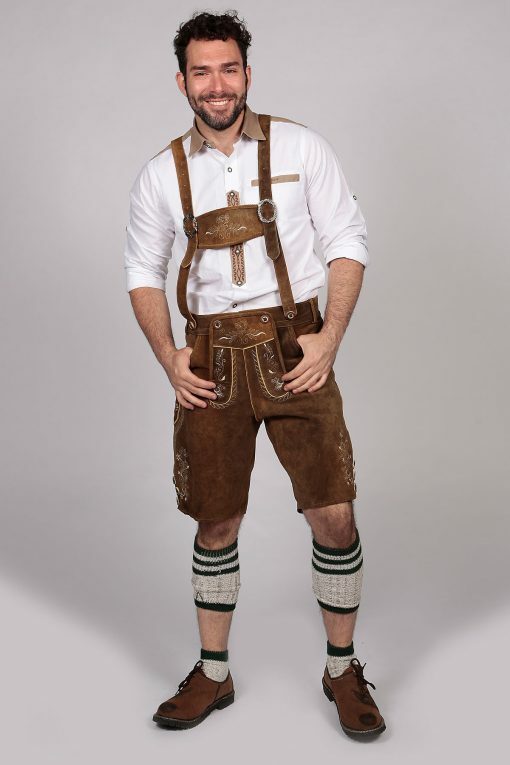 These German lederhosen are the state of art of sophistication and style. 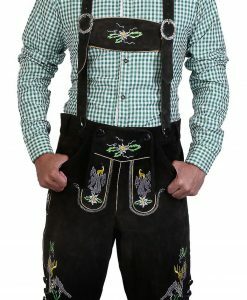 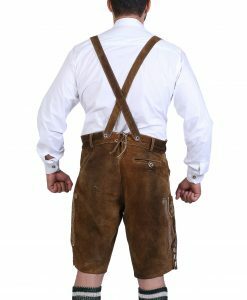 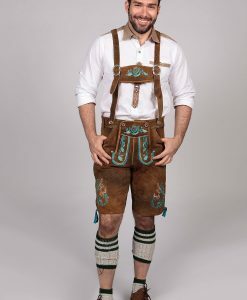 They have two pockets on the front sides, complimenting the requirements of Oktoberfest Outfit!